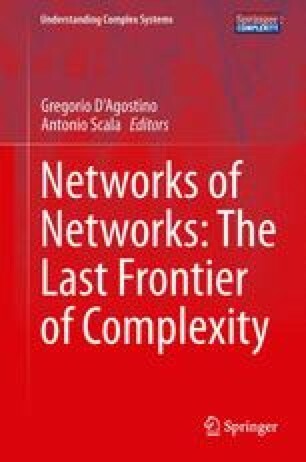 Idealized models of interconnected networks can provide a laboratory for studying the consequences of interdependence in real-world networks, in particular those networks constituting society’s critical infrastructure. Here we show how random graph models of connectivity between networks can provide insights into shifts in percolation properties and into systemic risk. Tradeoffs abound in many of our results. For instance, edges between networks confer global connectivity using relatively few edges, and that connectivity can be beneficial in situations like communication or supplying resources, but it can prove dangerous if epidemics were to spread on the network. For a specific model of cascades of load in the system (namely, the sandpile model), we find that each network minimizes its risk of undergoing a large cascade if it has an intermediate amount of connectivity to other networks. Thus, connections among networks confer benefits and costs that balance at optimal amounts. However, what is optimal for minimizing cascade risk in one network is suboptimal for minimizing risk in the collection of networks. This work provides tools for modeling interconnected networks (or single networks with mesoscopic structure), and it provides hypotheses on tradeoffs in interdependence and their implications for systemic risk.